Is Your Income Tax Free? It is possible to receive amounts that you don’t need to tell the tax man about, and don’t have to include as income on your tax return. 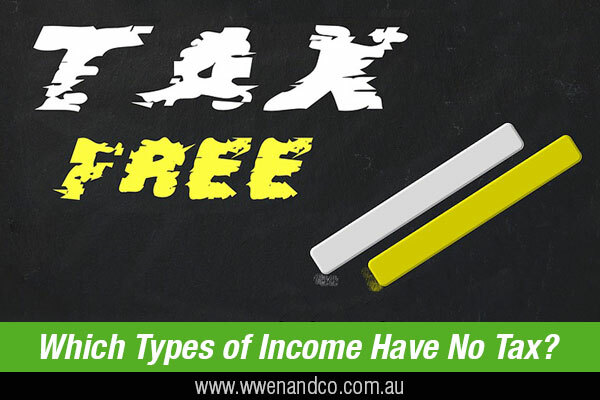 Exempt Income – amounts that have been deemed to be tax-free. Most often this includes government allowances such as disability pensions, carer payments, rent assistance and such, but also some scholarships, child care payments and so on (some of which are listed below). Non-assessable non-exempt income – This may sound like more of a curly concept to define, but basically “non-assessable non-exempt” means that these amounts are considered income on which there is no need to pay tax (that’s the “non-assessable” part), however the amounts are still taken into consideration for other liabilities or when tallying up an eligibility income threshold (so it’s not “exempt” in that sense). A few examples are also listed below. Generally, you cannot deduct expenses you have incurred in gaining this type of income. Other amounts – Basically, this covers most child support and spouse maintenance payments. These don’t neatly fit into the above categories, but they are not taxable and do not affect any calculation on your tax return. If you are not sure whether a payment you receive is exempt income, non-assessable non-exempt income or is another type of amount that is not taxable, feel free to contact the accountants at our office.